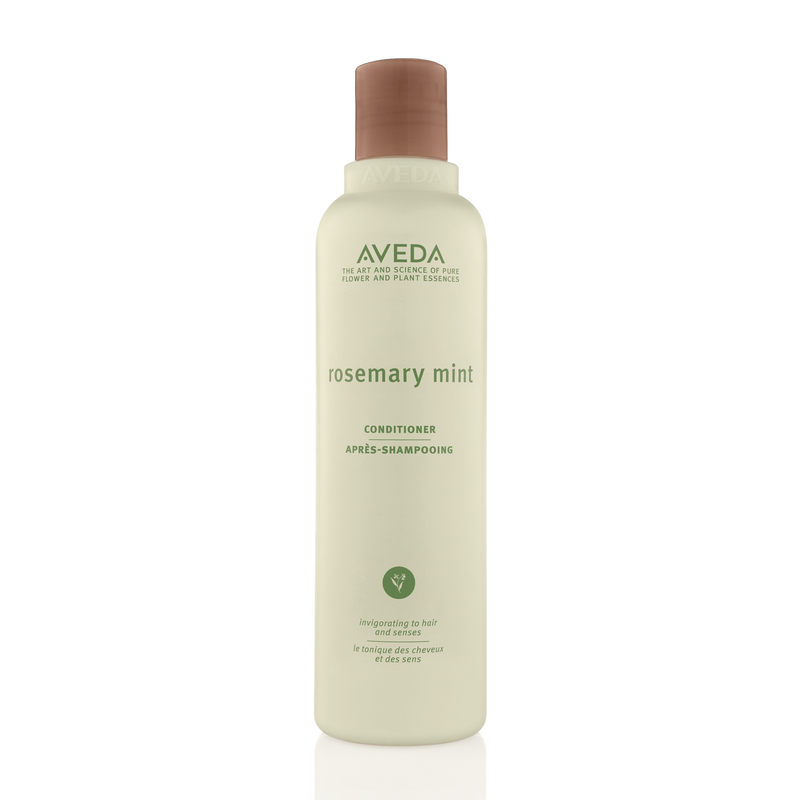 The lightest conditioner available, this Aveda Rosemary Mint Conditioner adds weightless body and shine to your hair. It creates a full bodied look and feel, while effectively preventing tangles and static. Aveda Rosemary Mint Conditioner adds volume and sheen to your hair. It has tonic properties of organically grown rosemary and peppermint, which cool and revitalise your scalp. This rinse is suitable for daily use and is effective on all types of hair, but especially for your fine and limp hair. Apply after using Rosemary Mint Shampoo. Apply a small amount of the conditioner to your hair. Massage onto your hair and scalp. Smooth from roots to ends.